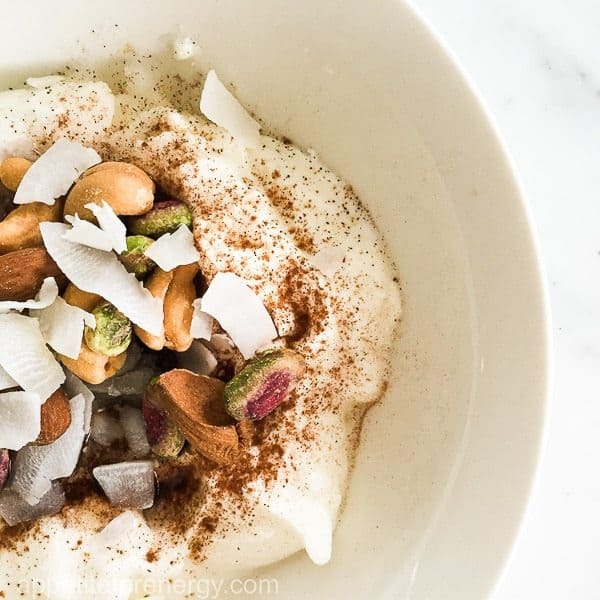 So you’ve started a ketogenic, low-carb diet and you’re feeling a bit hungry between meals? You want to snack and are wondering what kind of low-carb snacks you can eat and stay in ketosis. It can take up to 4 weeks for your body to make the transition to burning fat instead of glucose and become fat-adapted. The amazing thing about this is that your hunger will drop away dramatically. One day you’ll realize that you haven’t thought about food for hours and that you aren’t really hungry. For me, this is one of the key reasons for eating low-carb. I love that I’m not a slave to my hunger and can go out for the day knowing that I can wait till late afternoon to eat. Or I’ll eat a very small snack for lunch such as a few nuts, a piece of 85% dark chocolate and a coffee. No need to take a packed lunch. The old me who had to eat every 3 hours or feel weak and shaky could never have survived such hardship! Having said that, it’s quite likely that you’ll feel hungry during the initial stages of a ketogenic diet. I know I did. 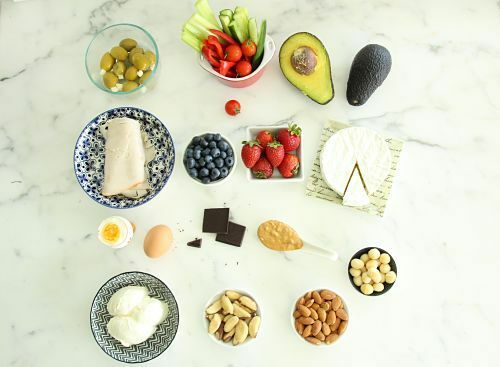 We’ve put together a list of the top low-carb snacks to keep you powered throughout your day. Foods on this list are chosen because they are the healthiest, most satiating snacks that will keep you in ketosis. Keep in mind though, that as you become a fat burner, you will notice your hunger dropping off. This is awesome but make sure you don’t continue to snack purely out of habit. 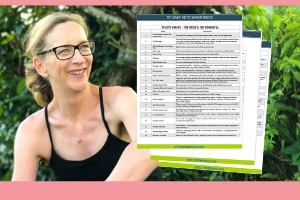 Click here to go to our updated list of 101 Easy Low Carb Snacks (That Real People Eat) and to download the FREE printable cheat sheet! Nuts – Macadamia nuts are the perfect ketogenic snack due to their high-fat and low-carb content. Also brazil nuts and pecans are very low-carb. Cashews are quite high in carbs so keep to a minimum. Olives – green olives have the highest fat content, but all are good. Try olives stuffed with feta. Deli meats – ham, turkey, salami, pastrami, prosciutto etc. 1 minute muffins – from Maria Emmerich’s“The 30 Day Ketogenic Cleanse” book. 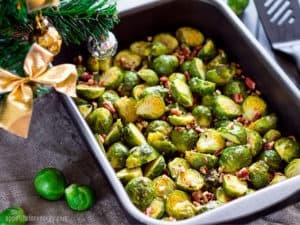 These are great and actually do cook in one minute – try with the suggested variations for a flavor boost (butter, 1 tsp erythritol, cinnamon). Make a list of your go-to keto snacks to turn to when you are starting out. Keep it handy for those times when you are staring into the fridge looking for something to eat. As you become fat-adapted and are burning fat for fuel instead of glucose, you’ll enjoy not needing to snack. 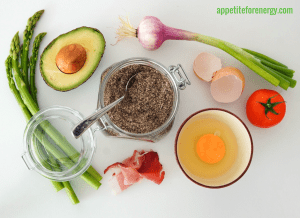 Update to this post – we’ve now published 101 Easy Low-Carb Snacks (That Real People Eat) to provide the most comprehensive guide to keto snack you’ll ever find! 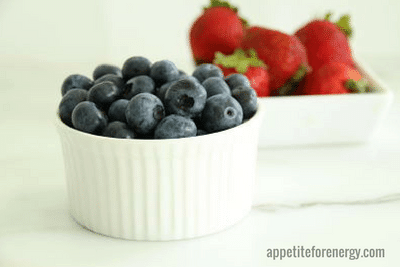 Click here to go to 101 Easy Low Carb Snacks (That Real People Eat) and to download the FREE printable cheat sheet! Success! In a few minutes, you'll receive an email to download your cheat sheet. 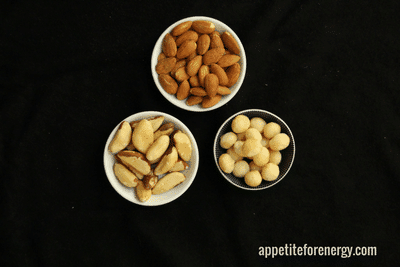 ★ What low-carb snacks do you like to eat? Tell us in the comments below!